I’m posting this for my own notes, since faculty union bargaining starts in less than 12 months. Greg Hartman was the attorney for the state employees and unions, who won Moro. 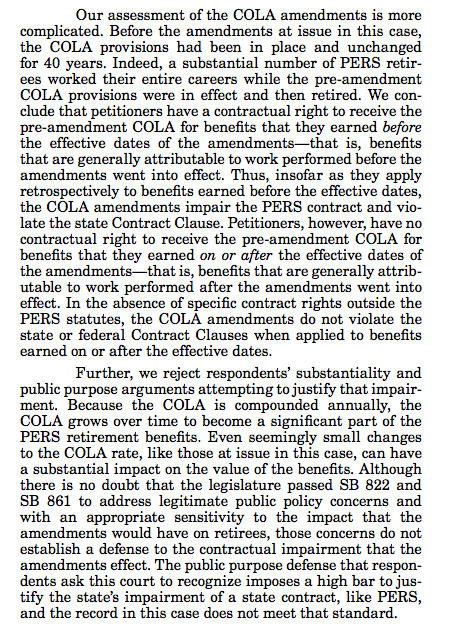 Hartman does a great job explaining how the Moro decision means that current employees at state agencies – and UO – will now be paid lower wages, because of the need to pay the PERS bill for retired workers such as Mike Bellotti. Of course taxpayers will also take a hit, as will those who depend on state services. Video here, links to the committee’s agenda and documents here. For more on PERS read the always cantankerous Mr. Fearless, here. 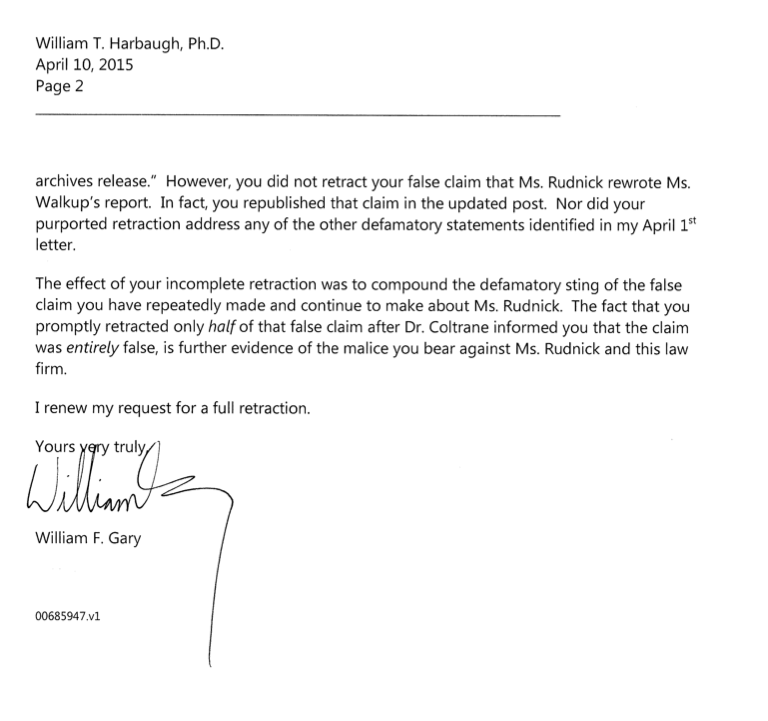 Can HLGR’s Bill Gary go a year without demanding a retraction? 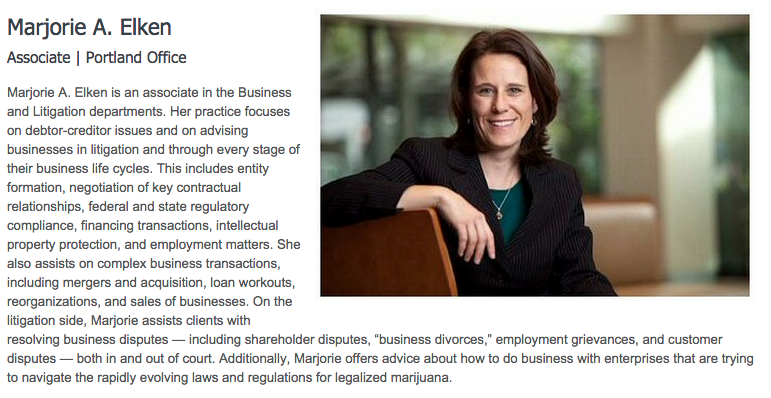 I don’t know, but it’s getting down to the wire for the noted big-tobacco attorney. 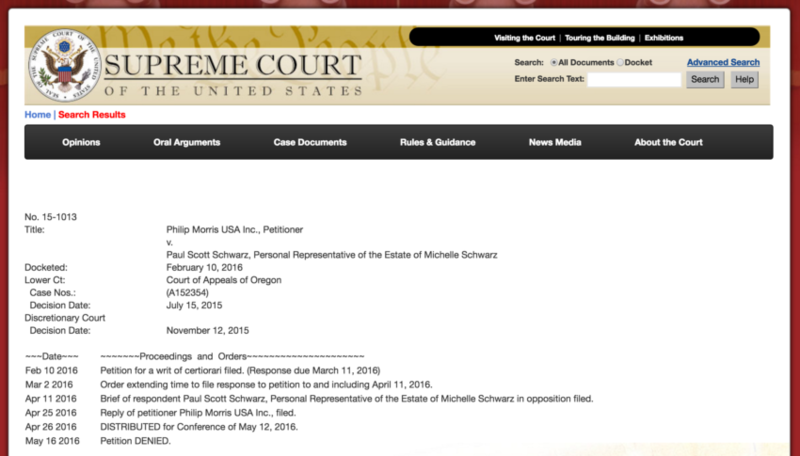 His last retraction demand to UO Matters was on March 26, 2015, here. … Lawyers for the UO police brass had argued their clients’ conduct was merely procedural and any harm to public safety officer James Cleavenger’s future law enforcement career so speculative that the judge should cancel the jury’s ruling. In legal filings, they asked the judge who presided over McDermed’s September 2015 trial to reset the verdict to $1 or order a new trial. 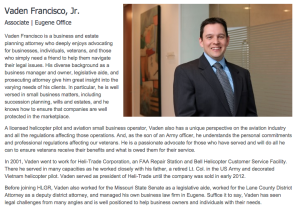 Instead, U.S. District Judge David O. Carter sided with Cleavenger’s lawyers on every point, citing evidence of severe retaliatory intent, dishonesty and deep economic harm to Cleavenger on the part of McDermed, Lt. Brandon Lebrecht and Sgt. Scott Cameron. 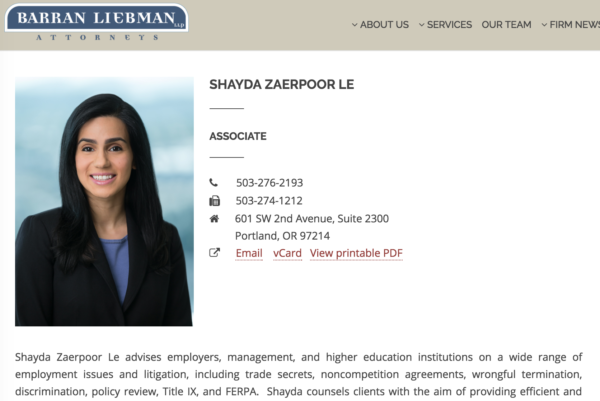 The case is expected to cost UO more than $1.5 million, including paying lawyers from a Eugene firm to represent UO and its employees and paying Cleavenger’s law team, led by Jason Kafoury and Mark McDougal. Also on Monday, UO leaders announced they have hired former UO Police Capt. Pete Deshpande as interim chief of police. Deshpande also played an active role in reviewing and passing along the Brady materials that destroyed Clevenger’s reputation, evidence during the trial showed. Deshpande worked for the UO safety department for three years before retiring in 2015. He also served as an officer and commander with the Eugene Police Department for 22 years. Lets call it a 5% increase over three years. 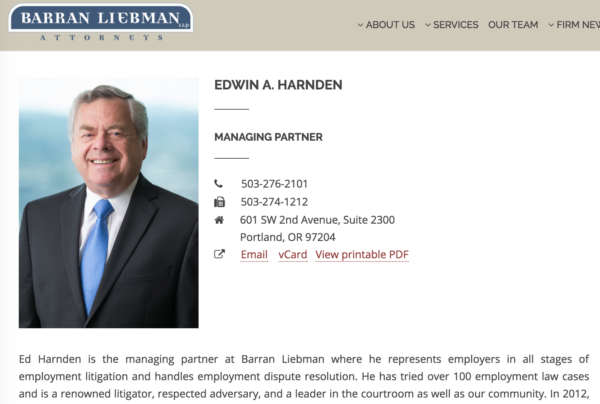 Not bad considering the down legal market and recent public debacles from HLGR, such as when they represented Eugene’s 4J School District in the RG’s lawsuit to get the Berman public records. 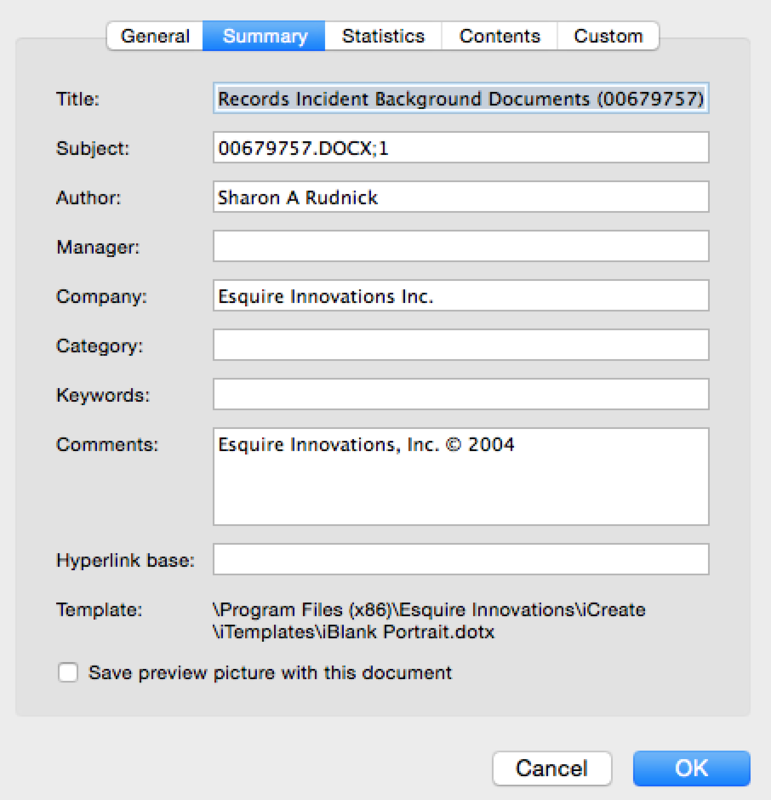 Right in the middle of the lawsuit someone at HLGR mistakenly emailed the entire dump of records to the Register Guard. 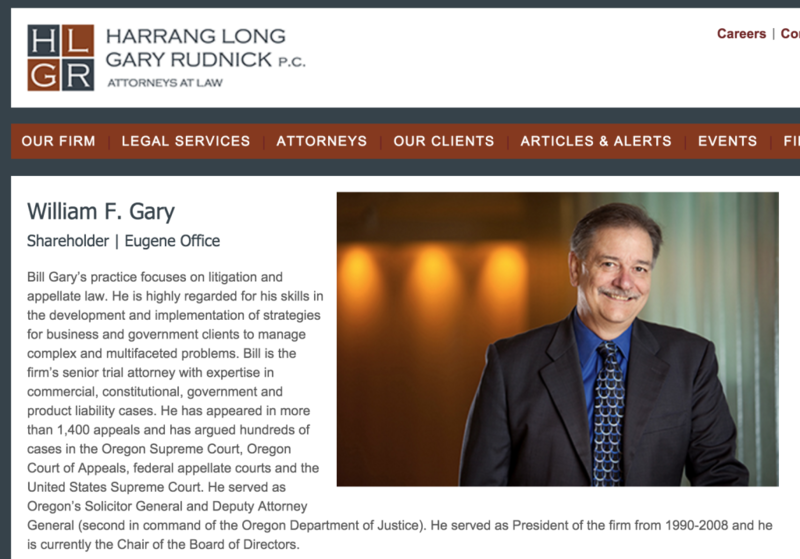 Whoops: http://uomatters.com/2015/05/harrang-long-gary-and-rudnick-too-transparent-with-potentially-incriminating-public-records.html. 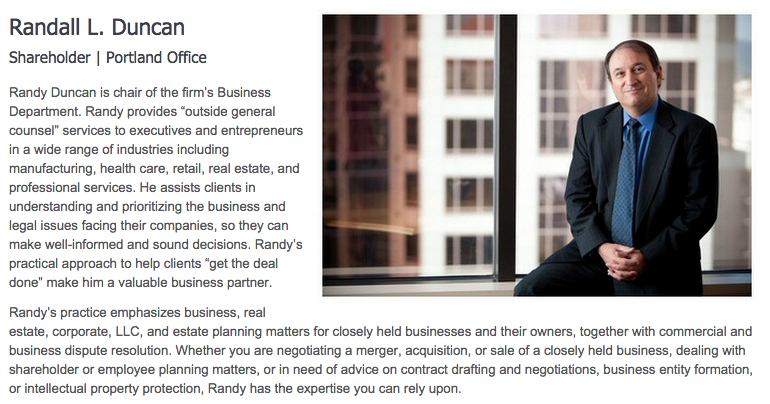 Word is that 4J quickly found a new law firm. Bill Gary is the well connected lawyer who in 2012 successfully argued that the state should have to pay himself and the other HLGR attorneys *twice* their normal billable hours – $868K – for their work on the Mark Long lawsuit against John Kroger’s DOJ. This case was an abortive precursor to the Cylvia Hayes scandals that ultimately brought down Governor Kitzhaber. Randy Geller, at the time UO General Counsel, submitted a brief in favor of HLGR’s double-billing. 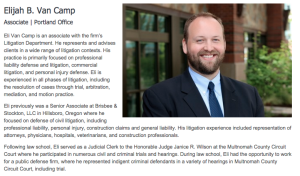 I filed an ethics complaint against him and Gary with the Oregon Bar, as explained by Nigel Jaquiss in Willamette Week. It turned out that the Bar was not real excited about disciplining lawyers for trying to get money, and after some back and forth they told me to go away. 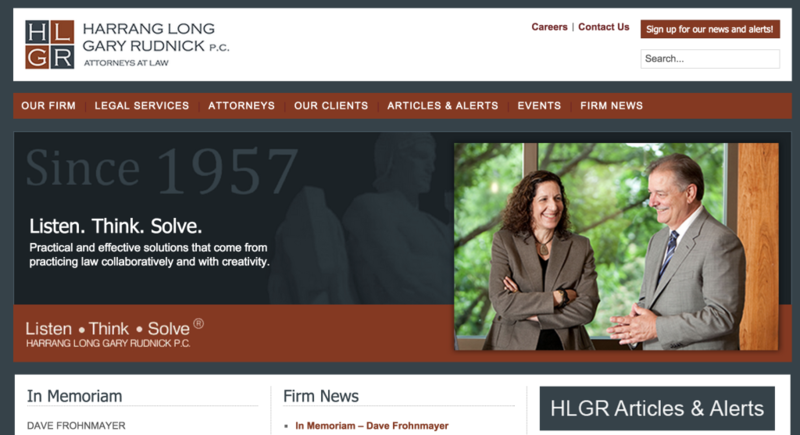 Geller now works for HLGR – go figure. 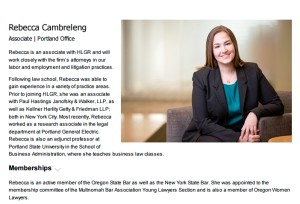 But before HLGR hired him Geller had hired HLGR’s Andrea Coit, to defend UO against UOPD officer James Cleavenger’s First Amendment retaliation lawsuit. She lost. My guess is that Gary is charging UO $450 or so an hour Gary is charging UO $315 to try and convince Carter that Cleavenger’s Kafoury and McDougal attorneys are getting paid too much. I’m not sure how much HLGR has already billed UO on this, but it’s probably close to $500K so far. For losing. 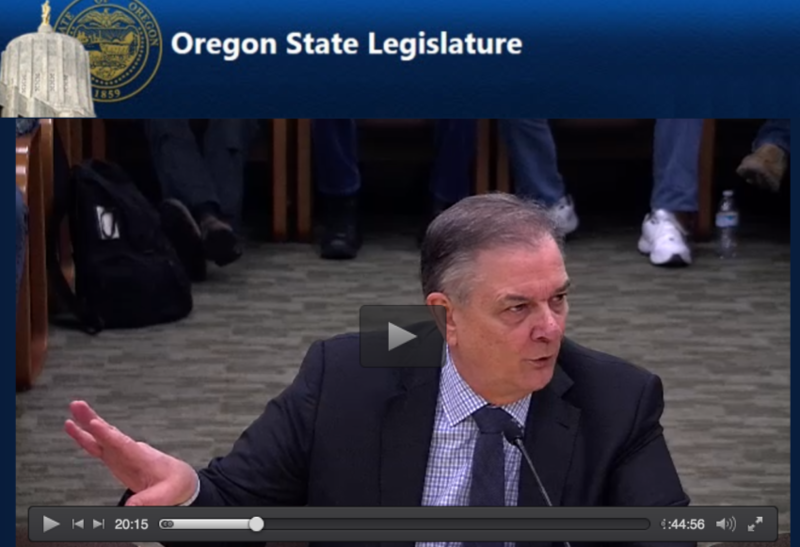 Oh yeah, Gary also argued for the state in the recent lawsuit over Kitzhaber’s PERS cuts. I wonder how much he billed for that? He lost. The District paid $18,532 in legal costs and fees to Harrang Long for services rendered in connection with the Register Guard litigation. The District paid $23,730 in legal costs and fees to Luvaas Cobb following Harrang Long’s inadvertent disclosure of documents; however, such fees and costs were not limited to litigation services in the Register Guard case. 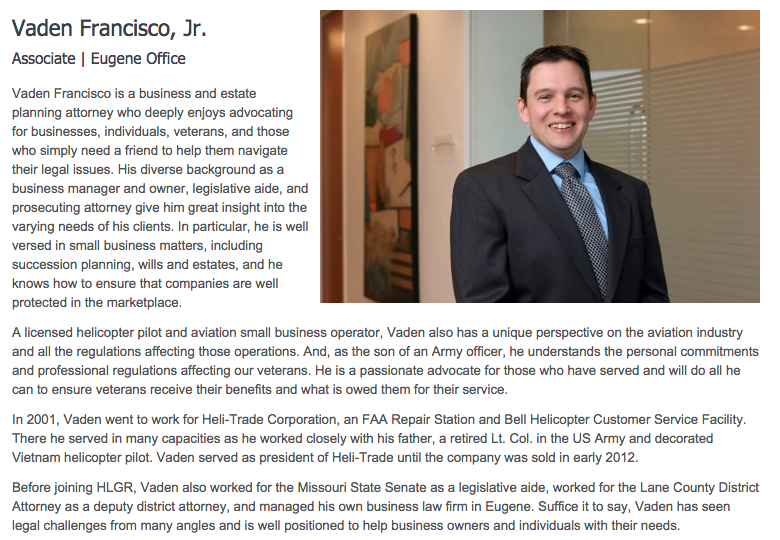 Not to mention its client’s public records. 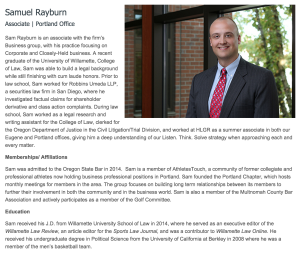 Rumor down at the bar tonight is that Harrang Long Gary and Rudnick has lost some large contracts for legal work recently, and not just from UO. Its partners and associates are moving on too. Below are recent departures from the firm including some deserting a year or two after coming aboard. One after just six months. Sam V. Rayburn, now at Buckley. John Witherspoon, now at Buckley. 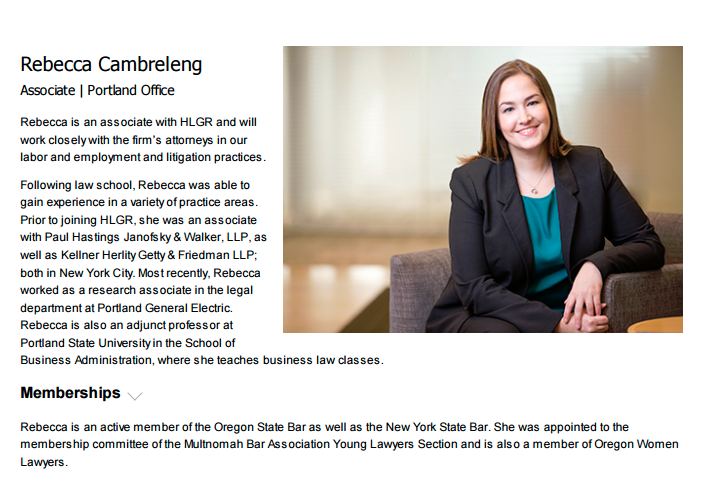 Rebecca Cambreling, now at YHC Law. My apologies if I’ve missed anyone, send me the details and I’ll add you to the list. b) any communications between UO President’s office or General Counsel employees and outside attorneys or consultants relevant to the preparation of the attached “Records Incident Report”, apparently written by HLGR attorney Sharon Rudnick, regarding the UO Presidential Archives release. I’m ccing Interim GC Doug Park as he should be able to easily provide many of these documents. Otherwise, I ask for a fee waiver on the basis of public interest. 4/15/2015 AM: My apparently inadequate retraction of the original post is here. 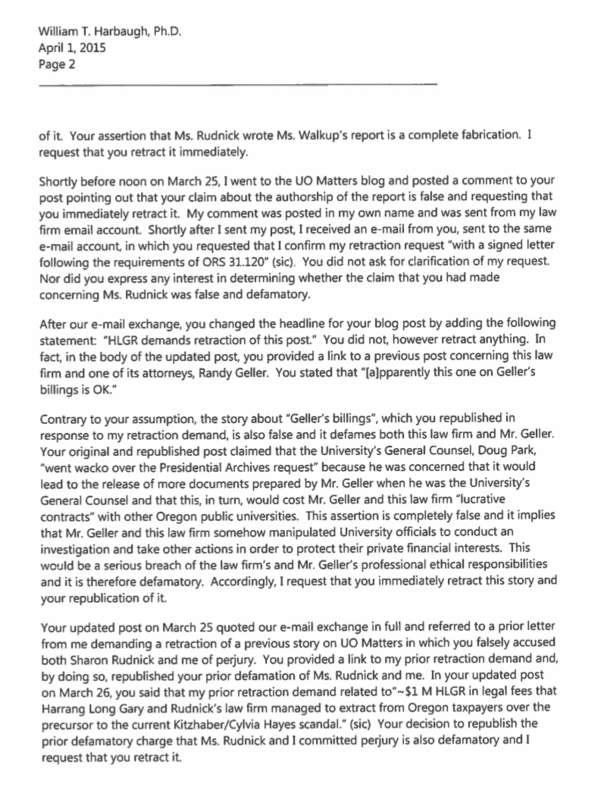 Since then I’ve received two additional emails from Mr. Gary, who is representing HLGR and UO lawyers Sharon Rudnick and Randy Geller. I will send and post a response to Mr. Gary’s additional demands promptly. Did William F. Gary, Esquire, go rogue with defamation suit threat against professor? 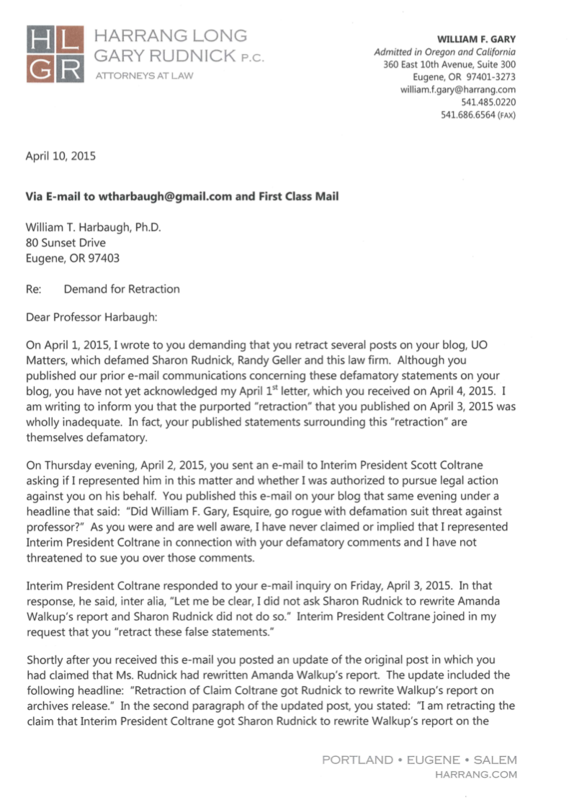 Is Mr. Gary actually representing Interim President Coltrane, or has he gone rogue? 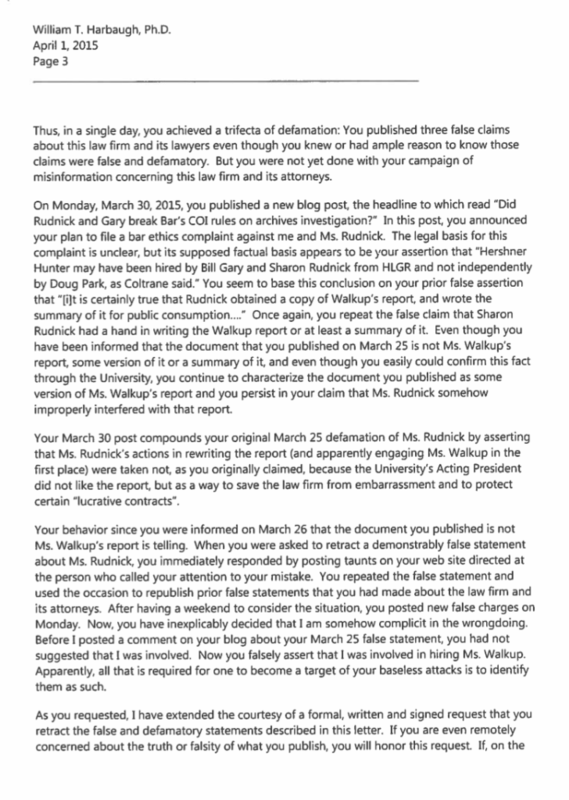 My post and Mr. Gary’s defamation lawsuit threat here. Potential conflict of interest for Mr. Gary’s representation of UO in this matter here. Last week I received the blog comment and email below from William F. Gary, an attorney and partner at Harrang, Long, Gary, and Rudnick. 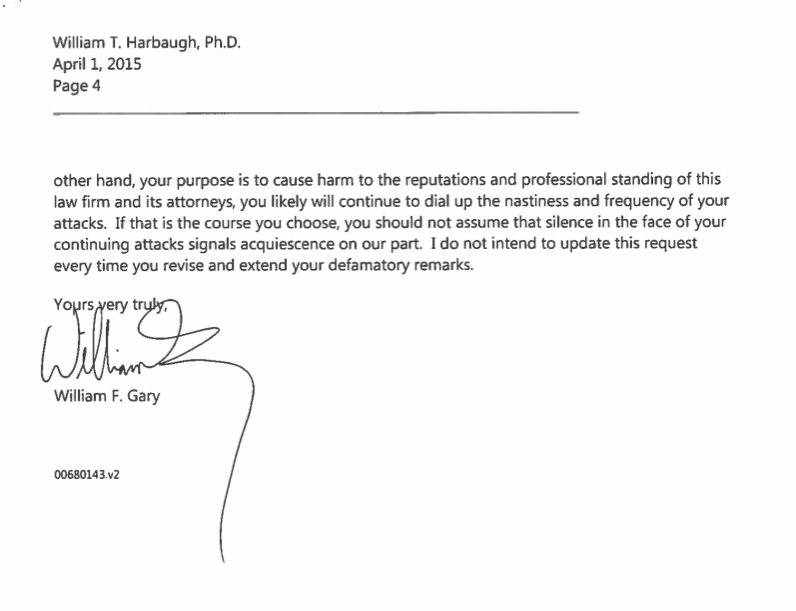 As you can see, Mr. Gary alleges that I have have made false and defamatory statements about you. I am writing to ask if Mr. Gary is representing you in this matter, and specifically if you have authorized Mr. Gary to speak for you and pursue legal action against me for this blog post. Someone recently posted a comment from a “William F. Gary” on my blog, demanding that I retract a news and opinion post. If this is indeed from you, I’d appreciate it if you could confirm this with a signed letter following the requirements of ORS 31.120. I believe you’re familiar with that law, but just in case I’m attaching a previous retraction demand from you, which might be useful as a template. I’m currently traveling, but you can send a pdf to this email address. Mr. Gary’s most recent prior retraction demand was in June 2013. In it he and Sharon Rudnick said I was a news media organization,here. (Most recent to UO M, that is. Rumor has it he’s made similar demands to others.) 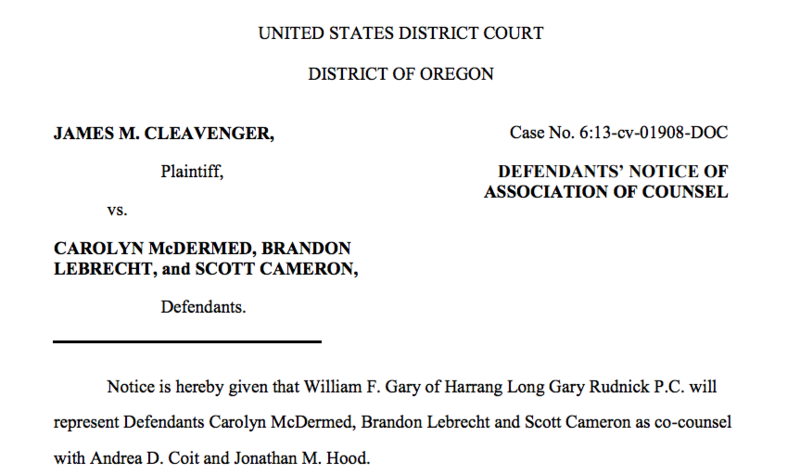 Interestingly, it was about a post I made discussing the ~$1M HLGR in legal fees that Harrang, Long, Gary and Rudnick’s law firm managed to extract from Oregon taxpayers over the precursor to the current Kitzhaber / Cylvia Hayes scandal. Randy Geller, at the time UO’s General Counsel, wrote a strong defense to the court arguing for the fees. Geller, of course, now works for HLGR. Thank you for your response to my post and for allowing it to appear in the comments section of your blog. I posted it in my own name and from my law firm’s e-mail so that you would not have to guess at who was calling you out on your defamatory comments. As a University professor who often speaks passionately about academic freedom and transparency, I am sure you fully understand the destructive nature of this sort of lie. Not only does it damage those whom you defame, it also does lasting damage to the quality of discourse in the University community. I trust therefore that you will take appropriate steps to correct the record. While I appreciate your advice concerning the legal requirements of ORS 31.120, I am confident that I have a good grasp on the steps I must follow to hold you accountable if you do not act promptly to undo the harm you have caused. Actually, people can enter any name and email address they want, the software has no way of checking on either. It’s one of the charms of the internet. Silence Dogood and Ben Franklin would have loved it. Please let me know when I can expect your letter. 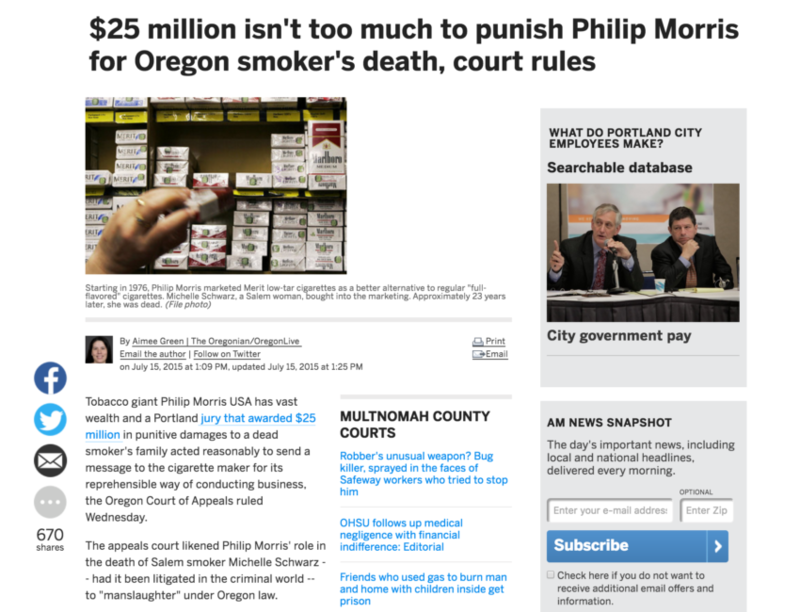 Perhaps you should threaten the Oregonian with a defamation lawsuit too? Their comments are also open. 3/26/2015 5:00 PM, still no letter from Gary. The city had relied on Harrang Long since 1971 for virtually all of its legal advice, a sizeable task that produced big billings for the firm. 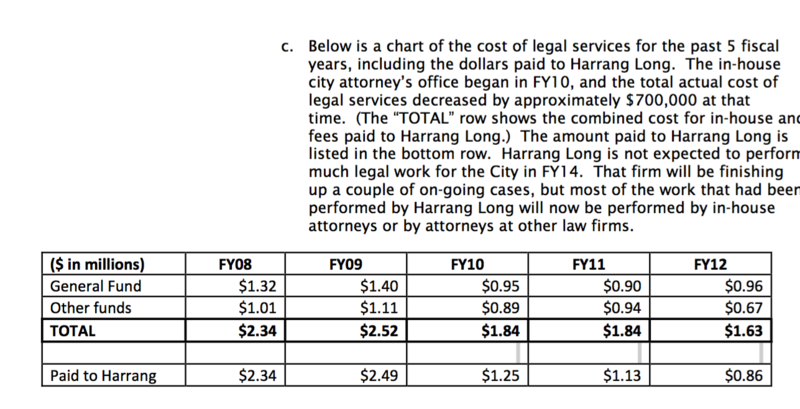 For all other legal work that Klein and Jerome did for the city that year, the city paid Harrang Long $180 an hour, which produced a combined bill of $430,701. OK, that story is from 2009, when Eugene city manager Jon Ruiz ended the contract. And $180 an hour ain’t much these days. Sharon Rudnick of Harrang, Long etc. now bills UO for $300 per. And she charges Mark Long – the son of the Stan Long in her firm’s name, $400. No family discount? That’s stone cold. Wow. 7/5/2013: My complaint to the bar is here, the Jaquiss story is here, Rudnick and Gary’s retraction demand over the headline is here. In response I’ve changed the headline on the post to more accurately reflect the facts: “Bar investigates Rudnick, Gary and Geller for allegations of lack of candor with the tribunal, in an attempt to pad legal fees”. 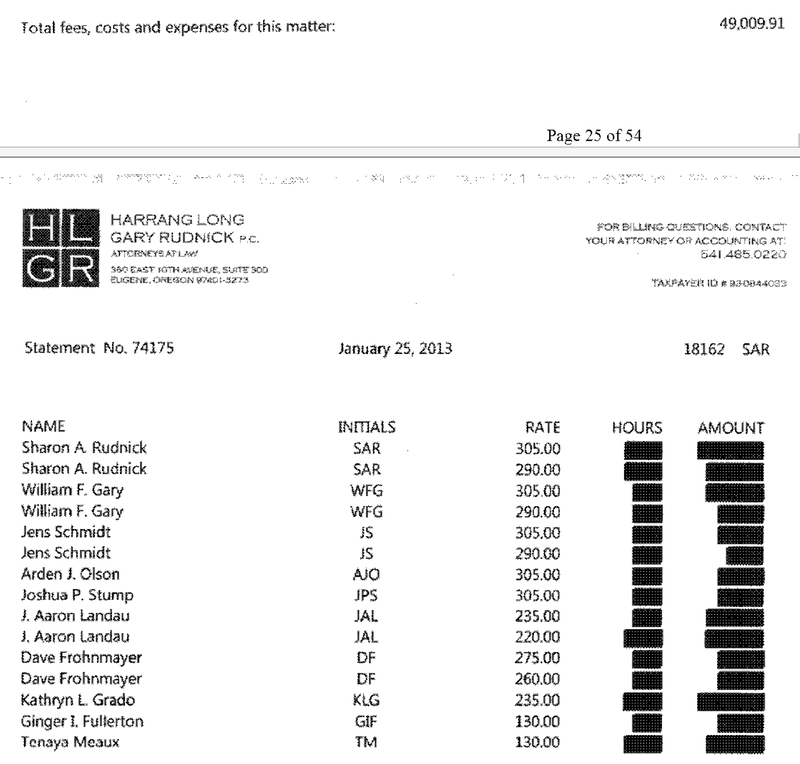 Actually, Geller’s declaration to the court had plenty to do with HLGR’s hourly rates. He had recently signed a contract with HLGR for billing rates that were as little of half of what HLGR were arguing that state taxpayers should have to pay the same HLGR attorney’s for the public records case, and he’d have to have been pretty clueless to not understand that his affidavit would be used by Gary and Rudnick as support for their attempt to convince the judge to then double those higher rates. He seems particularly upset about the fact that HLGR’s efforts to get $860K in public funds are being publicly discussed here and by Nigel Jaquiss in Willamette Week. I’m no literature professor, but I think they call that irony. My response to the Bar is due Tuesday, comments and suggestions welcome.